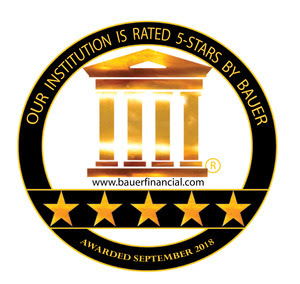 5-Star Rated by BauerFinancial, Inc.
“By far the best and easiest bank to work with! We bank with multiple banks as a business owner and highly recommend 1st National Bank of Waterloo! Dan Spickard and Russ Thomas are phenomenal as well as many others that I see weekly!” ~ Adam L.
“When I first moved to Waterloo your bank was the one who gave me my first home loan. I was very thankful for the great service I received.” – Melissa R.
“I enjoy the free checking and online billpay that they offer. My old bank charged for the online billpay so that’s a huge plus.” – Dan P.
“I knew some of the staff there prior to joining and I’m glad I did join,.. We are extremely happy with the FNB Waterloo and would never switch to anywhere else” – Molly L.
10 Reasons "That's My Bank!"